Click here to visit the Photoshop/Lightroom Creative Layer website. Adobe is currently offering its Photoshop CC and Lightroom CC as a package for $9.99/month! This is a great offer. This amounts to $120/yr for the best photography processing tools ever made. It is unlikely to EVER be cheaper than this. As part of this package you will also receive access to Adobe’s creative community for photo sharing community, Behance, as well as 20 GB of cloud storage. The cloud storage would be used for when you travel and you want to upload items to work on in the field or to transfer large images. When using Adobe’s Creative Cloud Suite, your content/images are NOT stored in the cloud, NOR do the programs run from the cloud. You download the software, like you would any other and you work on your computer, save on your computer, etc. In addition to Photoshop CC, you also get Lightroom CC. These two programs would seamlessly together. For example, from your Lightroom Library, you can select a series of images, taken with the intent to create a panoramic image, and open directly with Merge to Panorama in Photoshop. The images will stitch and when you are done editing, the final image will be saved and shown back in your Lightroom Library. This same technique can be applied to bracketed images to create HDR images in Photoshop. We are not affiliate of Adobe, however, we recognize Photoshop as an invaluable tool in our image processing workflow, as it not only allows us to use our favorite software plug-ins noted below, but we can use the masking/layer features to build dynamic, creative images. Click here to visit the Topaz Labs website. All Topaz products are available for a 30 day trial. 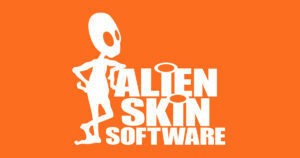 Click here to visit the Alien Skin Software website. Recently released! Snap Art 4! Snap Art 4 transforms your photographs into beautiful works of art (oils, watercolors, and more) and has never been easier to use. Snap Art 4 lets you experiment with multiple artistic styles via a simple, sleek user interface. In addition to Snap Art 4, Alien Skin offers Exposure 5 – creative effects that simulate the film days, Eye Candy 7 simulates creative effects such as fire and chrome, Bokeh 2 provides a wide range of focus effects such as soft blurs and vignettes, and Blow Up which renders crystal clear enlargements. They also sell all 5 of their amazing programs as a software bundle! Alien Skin Plugins will work in trial mode for a limited time. Click here to visit the Skylum Software website. 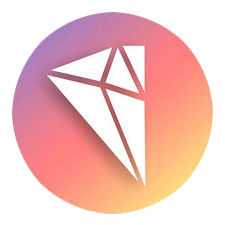 Skylum (formerly Macphun), makes some of the most robust image processing software available. Their flagship products are Luminar and Aurora HDR. Luminar is a full powered image editing program and perfect for photographers who do not wish to subscribe to the monthly fees associated with Adobe products. If you are an Adobe user, Skylum products seamlessly integrate with both Lightroom and Photoshop. Both Luminar and Aurora HDR work on Mac and PC. If you are an Apple user there are a number of great plugins avail for Lightroom and Photoshop including Tonality Pro and Intensify, as well as several other specific purpose programs. If you have used NIK software, you will find these plugins familiar and easy to use, as Skylum was founded by the original NIK developers! If you would like to get a discount on their products, just use our discount code: ROADRUNNER. Click here to visit the onOne Software website. 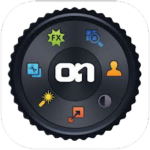 The OnOne Photo RAW is their flagship product with a lot of very powerful features. PhotoRAW is a complete photo editor and includes all the tools you will need to enhance, retouch and stylize images, replace backgrounds, and create high quality enlargements. OnOne Photo Raw is available for a 30 day trail. Click here to visit the HDRsoft website. For a 15% discount on your purchase, enter ‘RRPT’ in the Coupon Code field! Flypaper Textures provides an array of artist texture layers to give your images that classic grunge and painterly feel, including some incredible edge effects.